Free high resolution photo of a dirt path or trail going through a meadow in the fall or autumn. This landscape image shows a beautiful meadow surrounded by both small pine trees and big cottonwoods. 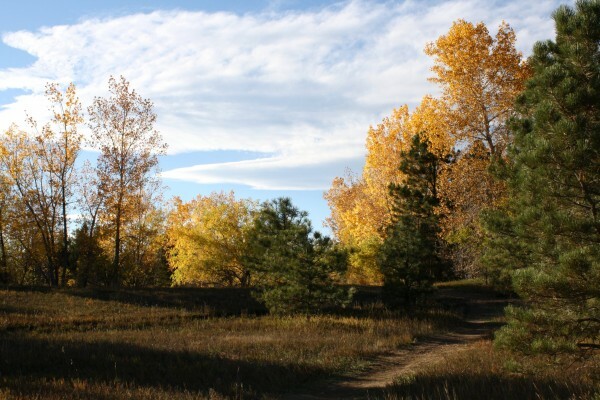 The cottonwood leaves have all turned a beautiful gold or yellow color with the autumn. There is a beautiful blue sky with white clouds above. Free picture for any use.